Your Complete Guide to Trials Riding combines many years of experience and observations into concise and practical tutorials, designed for trials riders and mountain bikers wishing to broaden their skills. Over 40 techniques and transitions are carefully reviewed, from basic bike manoeuvring to expert-level moves as performed by the pros at UCI competitions, all wrapped up in a full colour paper book for a more comfortable read and a lasting impression. Each move is decomposed step-by-step with numerous photos and tips that will boost both your confidence and riding ability. It all starts with balance and a few hops on the back wheel, before you start challenging yourself on new lines and obstacles, looking at new ways to push your limits while staying on your bike. Also included in this book are several chapters about the sport's evolution, bike geometry and setup, as well as preparation advice. Endorsed by the Union Cycliste Internationale, this carefully crafted handbook features numerous photos from top riders competing at UCI's recent Trials World Cups and World Championships. - Foreword by multiple Trials World champion Kenny Belaey. Printed in a 216x140mm format. Perfect bound - 600+ colour photos. Note that the specifics of street trials are not covered in this edition. Trials Riding is often regarded as the most technical and difficult branch of mountain biking, requiring a thorough understanding of body language, balance, and bike handling techniques. If you've ever been tempted by trials riding or if you are frustrated about having to dismount when you come across single-track obstacles, this guide will offer you an excellent complement of information in order to tune your skills far beyond "single-track business as usual", whether you ride on natural terrain or favour gritty urban landscapes. 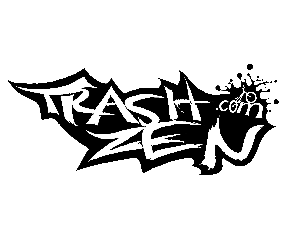 This manual is a natural extension of the TrashZen online resources, fully re-edited and easy to carry around so you can refer to it where and when you need it most, in your favourite riding zone. It is essential reading for new trials riders and anyone with an interest in the elaborate and counter-intuitive techniques of Trials Riding.